"The First Thanksgiving", painting by Jean Leon Gerome Ferris (1863–1930). My family and I were invited to a traditional Thanksgiving Dinner by our friend, a fellow Azanian named Ntombifuthi una Radebe. We live quite a distance from Ntombifuthi’s home. She lives way out East of Toronto, in Scarborough, while we live in the West end of the city, in Etobicoke. It is a good forty minutes drive East on the highway when there are no traffic hold-ups. Fortunately, on this day there were none. Nthombifuthi had to use all her persuasion powers to convince my reluctant wife, MmaMosala to accept the invitation. She told MmaMosala that there is no way she and her two daughters, Beverley and Maningi ama Ntombazana could finish this usually large bird without help from some family friends. As for me, it is always a pleasure to have the opportunity to leave the house, especially when it is with a promise to have a taste of a different meal prepared by someone other than my ever loving wife. What made this one more attractive was because the turkey was prepared by beautiful 25 year old Beverley, Ntombifuthi’s eldest daughter, who is doing a cooking course at a local college. My mouth was salivating at the thought of the taste we were about to enjoy. MmaMosala and I were accompanied by our son, Solly. A traditional Thanksgiving Dinner is sometimes called A Turkey Dinner, because millions of turkeys have to be consumed by North Americans to mark this celebration. Although Thanksgiving is largely a Turkey Dinner, it is traditionally a religious and Agricultural Celebration of the Annual Harvest. Some claim it derived from the Green Corn Dance of the Cherokee. In China it is known as the Autumn Harvest Celebration and the Germans call it the Oktoberfest. The Dinner itself was a quiet affair. Ntombifuthi’s family, comprising herself and her two daughters, were joined by Vivian, a fellow Azanian, with her five year old son, Bokamosho and her friend Neo, who hails from the Democratic Republic of Botswana. It was a sumptuous dinner indeed. For a change, there were no alcoholic drinks consumed at this event. Because of that there was less singing and dancing and more constructive conversation among those present. Consequently, we came to know each other quiet intimately and it was easier to break up after dinner and repair to our respective homes to be ready for our daily duties the following day, as it was a working day. 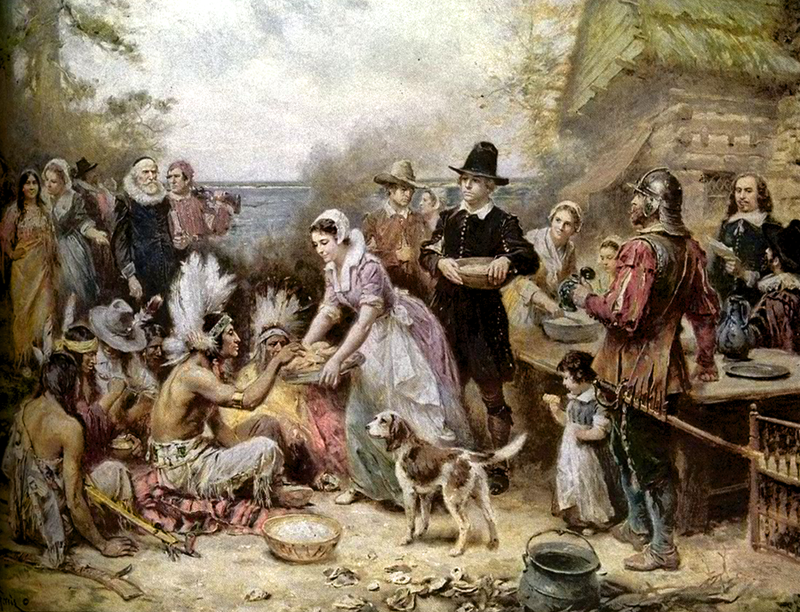 Some Caucasian North Americans wrongly believe that the first Thanksgiving was celebrated by the settlers who came from Europe aboard the Mayflower in 1620. The truth is that Thanksgiving has been celebrated for centuries in North America by the aboriginal peoples long before the first Europeans set foot on American soil. The European settlers who came aboard the Mayflower were introduced to Thanksgiving by Squanto; the first aboriginal American settlers met who could speak English fluently as he had lived in London for some time. He spoke English with a London accent. The settlers had every reason to be thankful that they met him because he became an important link between them and the local people. He was both an interpreter and an advisor to the early settlers. Some regard him as one of the forgotten founders of the United Stated of America.